Longing for that cool home-theatre system you've been thinking of buying but don't have the space for it? 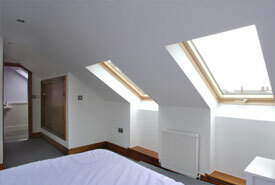 You can rely on C J & Co Design & Build Ltd for beautiful loft conversions for homes in Hertfordshire. And that's not all we offer - you'll also get advice and guidance on how you can get the most out of your attic space and add a loft conversion to your home that will overwhelm you with joy. 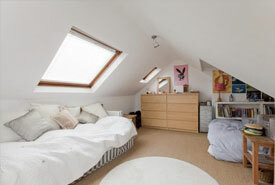 Add more space to your home with efficient loft conversions at affordable prices. Talk to our experts to discuss your requirement. No one but you has the last word in deciding exactly what you would like to change about your attic. Whether it is a complete transformation or a simple roof window installation, you'll get customised service that caters to your needs. Are you looking for affordable home extensions? No matter what your budget, we'll work out a cost-effective, yet stunning extension for you. Contact C J & Co Design & Build Ltd today!